On a predominantly residential street just west of downtown Culver City, Jackson Market has been serving sandwiches since the era when Munchkins roamed the nearby studio lot. But current owner Tony Istwani is hardly stuck in the past. On weekends, a wood-fired oven now blazes on the market’s increasingly oasis-like back patio, pumping out pizzas worthy of a trip from beyond the neighborhood’s limits. 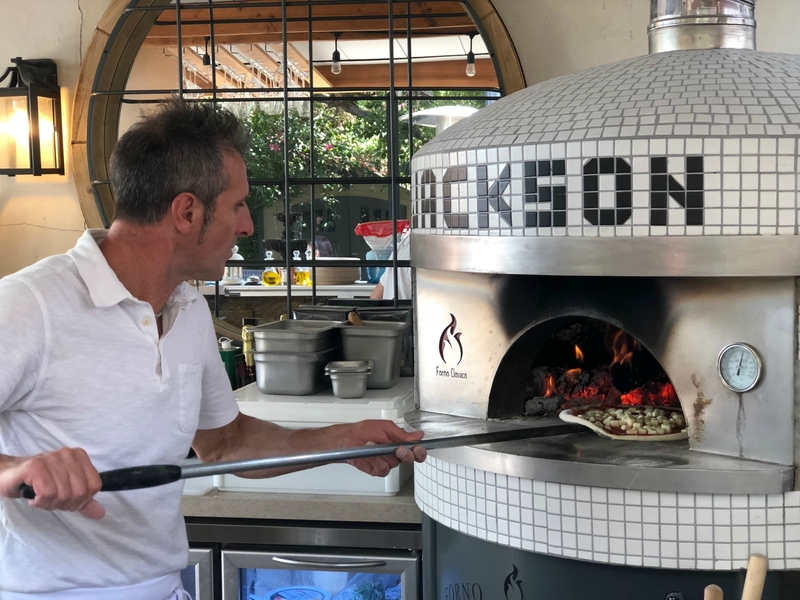 In the open-air pizza kitchen, Francesco Tocco should be manning a Forno Classico oven emblazoned with JACKSON in black tiles. The pizzaiolo crafts and fires pizzas to order and customers eat the results at mismatched tables set under shade trees; a bubbling fountain provides the soundtrack. The area closest to the kitchen is lounge-like, with cushioned seats. Once some Jackson Market regulars discovered Istwani’s desire to create a back-patio pizzeria, they introduced him to Tocco, a pizzaiolo from Palermo, Sicily, who’s lived in L.A. for two years. He helped set up the kitchen, developed the dough recipe, and connected Jackson Market with suppliers for Italian ingredients. In front of the pizza kitchen, a blackboard menu advertises 12-inch, wood-fired Sicilian-style pizzas. No, these aren’t the Sicilian-style pizzas of my New Jersey youth, thick, crusty squares cut from a sheet. These are rounds with crusts that aren’t as elastic or puffy as Neapolitan pizza, but remain delectable thanks to salt and olive oil in the dough, which contributes good chew and prevents drying. Tocco speaks very little English, but says he prefers a mix of woods, including oak and almond, to fuel the oven. According to Tocco, Sicilian pizza also employs different flour and yeast than Neapolitan pizza. And he points to a bag of F. Mutti Pomodoro to demonstrate a key difference in his tomato sauce. Neapolitan pizza often incorporates San Marzano tomatoes, though renowned Italian pizzaiolo Enzo Coccia used Antico Pomodoro di Napoli during a Neapolitan pizza luncheon at Chi Spacca last November. Any true test of a pizzeria’s versatility should probably involve at least one version with tomato sauce and one sauce-free “white” pizza. On the Prosciutto Rucola pie, the aforementioned F. Mutti Pomodoro provides a zesty base that melds seamlessly with melted mozzarella. 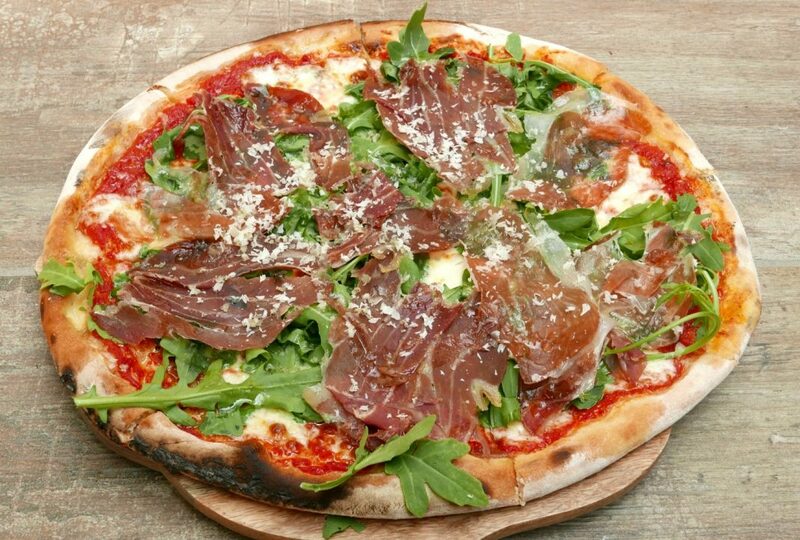 Tocco tops the sturdy wood-fired crust with hearty arugula, umami-rich prosciutto, a drizzle of olive oil, and grated Parmesan. 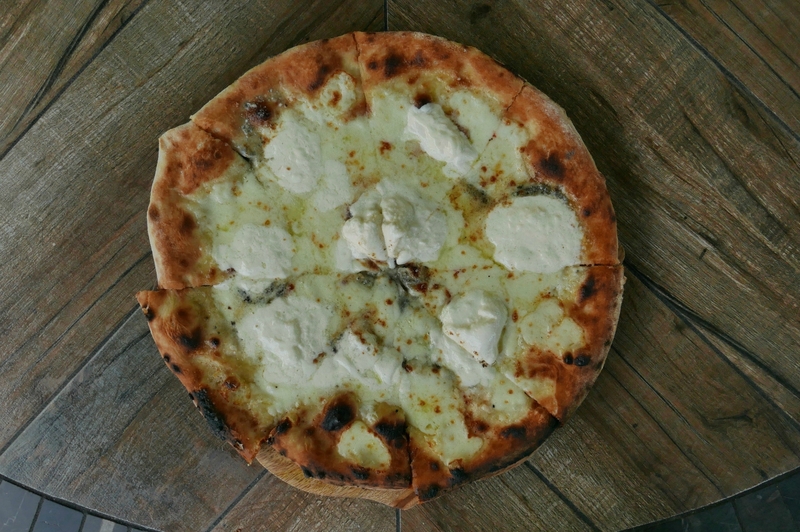 The Bianca is a far richer pizza, blanketed with mozzarella, sharp Pecorino, and pungent gobs of Gorgonzola. Creamy burrata from Wisconsin-based BelGioioso takes this pie over the top. With so much cheese, the middle of pizza gets soggy pretty quickly, so eat fast. At the moment, Istwani and colleague Nick Conner are focusing on their core business and don’t plan to expand pizza operations to other days. “The market is already a very busy and established staple in the neighborhood,” Conner says. “The pizza kitchen is a passion project for Tony to enjoy with his friends, neighbors, and family in a beautiful and relaxing setting.” As Jackson Market pizza shows, making due with limited-edition comfort can still be mighty satisfying. Jackson Market serves pizza from Friday through Sunday from noon to 8 p.m.; 4065 Jackson Ave., Culver City.